A: If you have Medicare part A, they will pay for your stay at a skilled nursing facility after being admitted to a hospital for 3 nights with a doctor’s order. Medicare part B will pay for part of your stay. We also accept most insurance plans. If you are not sure if your insurance plan is accepted, please give the admissions team a call and they will be happy to assist you. Q: My family is visiting and it’s getting late. Are they going to be asked to leave? A: We have flexible visiting hours to work with the schedules of family members. Don’t worry about your family being asked to leave if it is getting late. Your private room will allow for a comfortable, private visit and we also have gathering areas where a larger crowd can visit. Q: What happens if I go home and I don’t feel like I’m getting better? A: You are always welcome back if you are not feeling well. Each insurance company has different guidelines regarding readmission and our admissions team is always available to help. If you have Medicare, you can be readmitted to the facility within 30 days of discharge if you still have Medicare days available. We are always available to answer questions and will help guide you to the right decision. Q: What will happen when it’s time for me to go home? A: Your care team will continually monitor you and your progress and help you make a seamless transition to home. Our therapists are available to conduct safety evaluations at your home to ensure that there will not be any barriers to your success at home. Any family members or caretakers can get an educational in-service on how to continue your care at home. On the day that you go home, you will be given any unused medications that are allowed. You may have to have a family member make a trip to the pharmacy for any new prescriptions that the physician writes upon discharge. If you have any questions when you go home, you may feel free to give us a call. We would be happy to assist you once you get home. Q: Is it ok for my family to bring me outside food? A: Absolutely! As long as you are prescribed a regular consistency diet, you can bring in any type of food. If you have a special diet, ask your nurse how you can alter your meal to fit your needs. Q: What if I am taking a nap when they deliver lunch? A: We have a separate menu that is served from 7:00 am to 7:00pm. If you miss a meal or are hungry in between meals, you can call and get food delivered to your room. Q: What if there is a food that I just don’t like? A: If there is something that you just don’t like, let us know and we will do our best to accommodate your request. Q: My doctor ordered a special diet for me. Will Bridgeway be able to accommodate it? A: We can accommodate all types of diets at Bridgeway, including heart healthy, low sugar, vegetarian and low sodium. If your doctor prescribes a special diet for you, we will know when you leave the hospital and we will be ready for you. Q: Will I work with a therapist after I leave Bridgeway? A: If you still need some therapy after going home, our discharge planner will help you decide which home health companies will work best for you based on preference, insurance plan, and location. They will make sure that you have everything set up for you when you go home. Q: What if I am in too much pain or too tired to participate in therapy? A: Your therapy should not cause intense pain. If it does, your session will stop and the therapist will work to make changes to your medication and therapy in order to make it more manageable for you. Sometimes you may be tired and you can choose to continue working with your therapist after a nap or rest. You can also choose a day that you may only rest. Rest is important for recovery but therapy is the key to getting better. 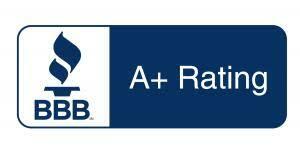 We have an A+ rating on Better Business Bureau!